Ever heard about Sannio? Once upon a time, the historical region of Southern Italy bearing the name of the ancient Sanniti population also extended to Molise, Abruzzo, Lucania and Apulia. Yet, today the generic term “Sannio” mostly describe the rural area in the province of Benevento, one amongst Campania's main cities and an interesting destination in itself. Mostly known for the evocative hamlets such as Sant’Agata dei Goti and Cerreto Sannita, and for the outstanding quality of the local wines, Sannio is a perfect destination to enjoy the sweet charms of an enchanting and mostly untouched nature, too. Especially if it also entails relaxing in luxury wine and spa resorts, enjoying great food in cozy trattorias or high-end country restaurants and discovering irresistible local deliciousness. We visited many of them thanks to a great guide, Paolo Di Cerbo, who recently launched the SannioLovers project to promote the area and its products. The quiet town of Telese Terme, taking its name from the local thermal baths are mainly dedicated to therapeutic purposes – tourists can choose to stay at the Grand Hotel Telese in order to take advantage of the hot springs. This is an ideal starting point for a possible itinerary in the area. In the immediate outskirts of the town, yet secluded in a peaceful country location, Aquapetra Resort&Spa offers luxury accommodations in a beautifully renovated rural village. It is surrounded by olive groves with very good extra virgin olive oil and a lovely swimming-pool. Most of the ingredients used to prepare the lavish breakfast and the refined dishes of the gourmet restaurant La Locanda del Borgo run by chef Luciano Villani are local, such as the Laticauda lamb and the fresh milk coming from a nearby dairy. One of the main attractions of Aquapetra, though, is its awesome spa, built in an old barn completely refurbished with original stones and woods. Here – or even in the outdoor park - guests can enjoy massages and therapy programs. In Autumn, during the olives' harvesting period, one can also experiment their healing properties both on the table and at the spa with special olive oil tastings and treatments. Not far from Telese's centre, is the one Michelin star Kresios restaurant, also hosting a few luxury rooms with a peculiar, stylish design. Launched some years ago by chef Giuseppe Iannotti after the renovation of an old country house, Kresios offers a contemporary, eclectic cuisine mixing Italian fare with a global and sophisticated twist and local products with Spanish and Japanese influences. The result is definitely an avant-garde style and intriguing dishes such as the chef's take on Fish&Chips or a flamboyant lobster salad “catalana”. A few kilometers away, Castelvenere is a country village holding a significant record: the highest density area with vines in all of Italy. Here, Nicola Venditti and his family have been cultivating vines and producing fine wines at Antica Masseria Venditti since 1595, having been completely organic since 1988. 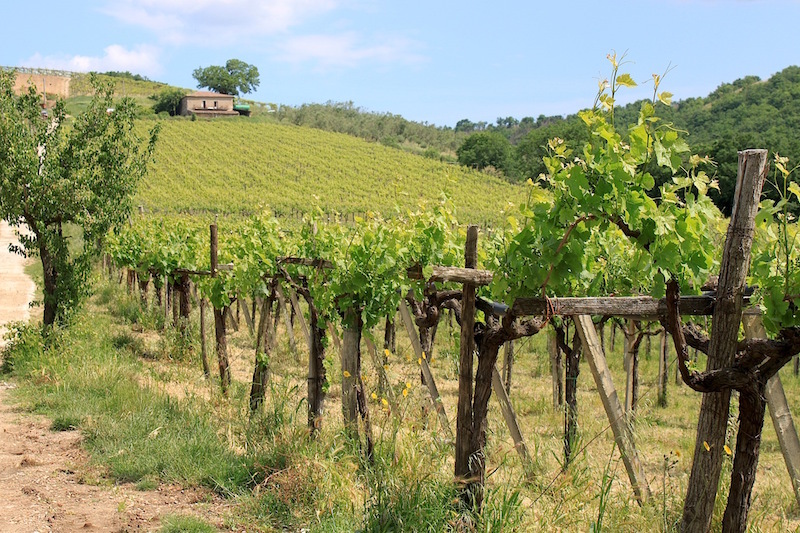 A key reference for Sannio wine-making, Nicola Venditti – en expert enologist – also created an interesting “educational vineyard” in his garden where he collected together all the varieties growing in his plots and those in his wines, including some almost-disappeared local varieties. 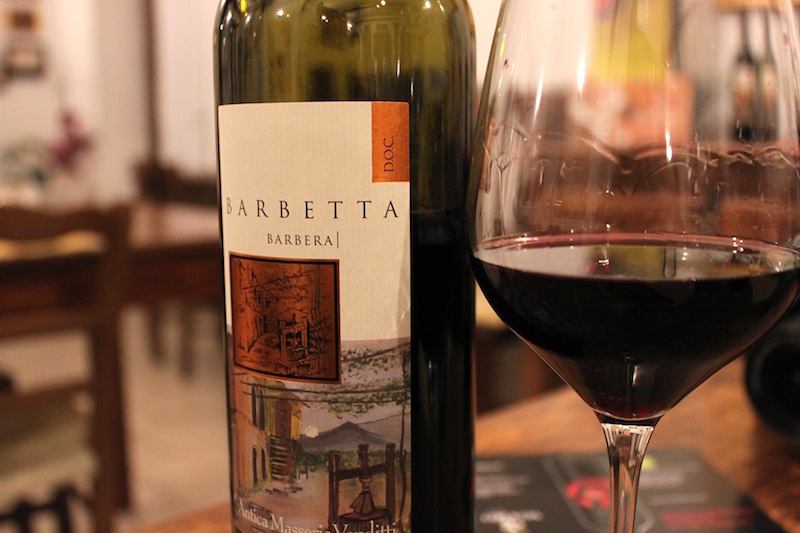 Visiting the winery is an excellent way to get to know something about Sannio's wine history. 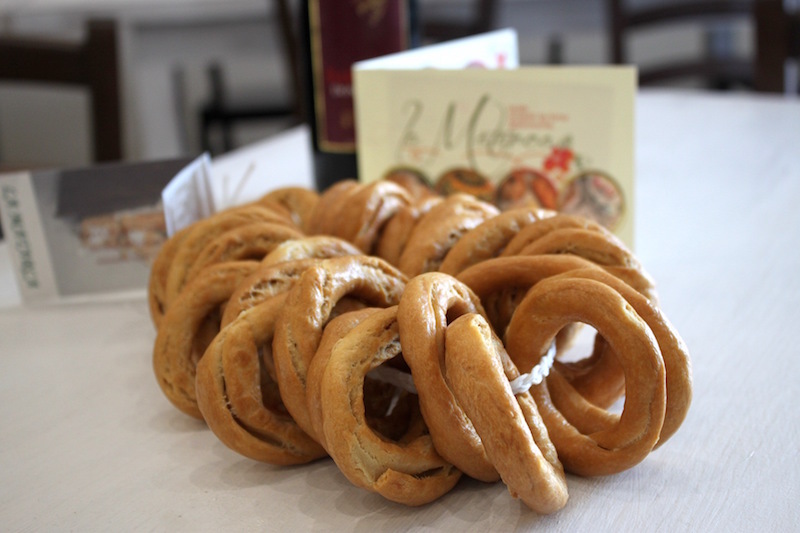 Close-by, you can fulfill the Italian saying “tarallucci e vino” matching local wines to the delicious taralli (a typical local snack, round and crunchy savory biscuits sometimes also flavored with fennel seeds or other spices) at La Matarca bakery. Everyday Loredana, Adriana and their all-female team prepare the twice-cooked (boiled and then baked) snacks entirely by hand and following the traditional recipe, just like they do for other tasty baked products such as pies and cookies. For wine-lovers – and those not willing to give up the chance to relax in the countryside should head to the tiny hamlet of Melizzano. La Pampa Relais matches an up-to-date art winery featuring impressive works by Neapolitan artist Valeria Corvino with a small number of welcoming rooms and suites, each of them furnished with a unique decor inspired by crafts and trades of past times. Yet, La Pampa's highlights – beside the verdant park surrounding the main building and the beautiful swimming-pool – probably are the Wellness Centre offering Ayurveda and water treatments, and the bright restaurant hall. Here chef Antonio Palmieri transforms vegetables and fruits growing in the resort's own orchards, local cured meats and cheeses and other genuine ingredients into flavorful dishes such as the big spelt raviolo with buffalo stracciata, tomatoes and basil pesto. 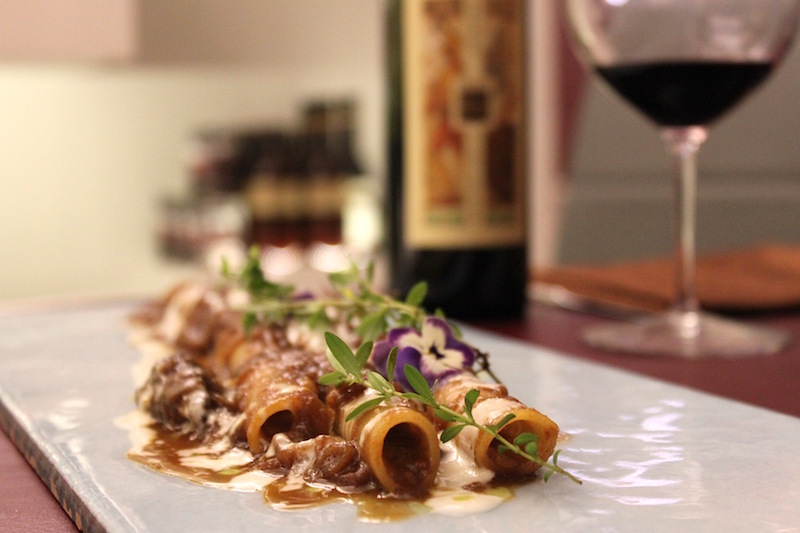 Excellent food, local ingredients and a friendly atmosphere are also the key features at Il Foro dei Baroni, the restaurant run by chef Raffaele D'Addio in the near village of Puglianello. A talented chef, D'Addio combines simple and authentic ingredients, traditional recipes and modern techniques to prepare tasty and hearty dishes as well as more refined ones, including vegan options and fantastic wood-oven pizzas, to be matched with the best wines from Sannio and other areas of Campania. For the unrepentant sweet tooth, there is some more road to cover. A 50 minute drive from Telese, in the mountain area named Fortore after a local river, the picturesque hamlet of San Marco dei Cavoti is also known as “the nougat village”. Actually, the local speciality is quite different than the typical italian “torrone” and it is also named “croccantino”, referring to the crunchiness of the small rectangular bite made of the traditional mix of sugar and roasted hazelnuts and almonds covered with a thin layer of dark chocolate. Traditionally prepared for Christmas – in December, the hamlet also hosts a dedicated festival. However, nowadays San Marco's croccantini are eaten all year round and are highly appreciated also out of Italy. While the Premiata Fabbrica di Torroni Vincenzo Borrillo claims to own the original recipe – and also sells the amazing cassatine (small ricotta cakes) and other delicacies in the beautiful vintage shop –, Autore Chocolate should be given the credit for reinventing and innovating this extraordinary product. 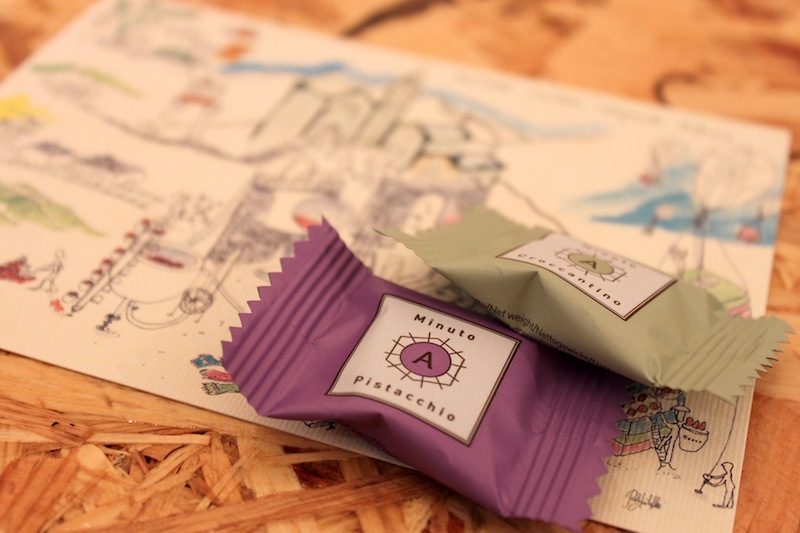 After a long experience working in tourism, also abroad, Antonio Autore decided to return to his hometown launching the confectionery and involving his mother in the business. While the production is still entirely handmade using ancient methods – including the copper pot to melt the sugar and mix it with the nuts – he chose to source the best ingredients from all over Italy, and bet on an innovative, colorful packaging and started to create new recipes. Nowadays he is mainly working on chocolate, and he is adding new products – see the addictive chocolate spread with nougat crumbs – to the range of different croccantini and minuto (square bites to be eaten along with coffee or at the end of a meal) made with new ingredients, with or without nougat, such as pistachio, honey & raisins or Sicilian tangerine. Autore's products can be ordered online or bought at the factory shop in San Marco. If you pass by, are hungry and want to preserve the croccantini as a gift or a souvenir, take a short walk and head to U Magazzeo. The warm and unpretentious venue run by Alessio Cavoto is not your average Southern Italian trattoria. Electronic music (sometimes) on air, social activism posters on the walls, tasty wood-oven pizzas, local wines and craft beers pair with an intriguing daily menu mixing traditional recipes to creative ones made with genuine, seasonal and occasionally self-foraged ingredients.